Our daughter who is in high school first showed us the above statement about being let down by group project members, and we thought it was hilarious. 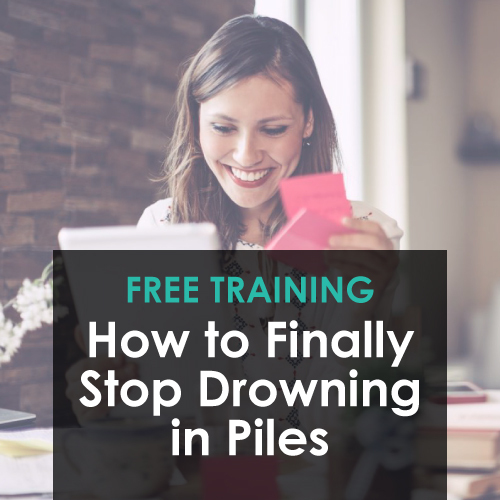 Whether you’re working with a group in school, a family, a community organization, or a team in your business, it seems like we constantly forget things, drop balls, or run around in circles all day putting out fires. (1) Say what we mean. I (April) used to fill my daily calendar with about 30 tasks: routine items, things I had to do, things I wanted to do, and things I felt like I “should” do. 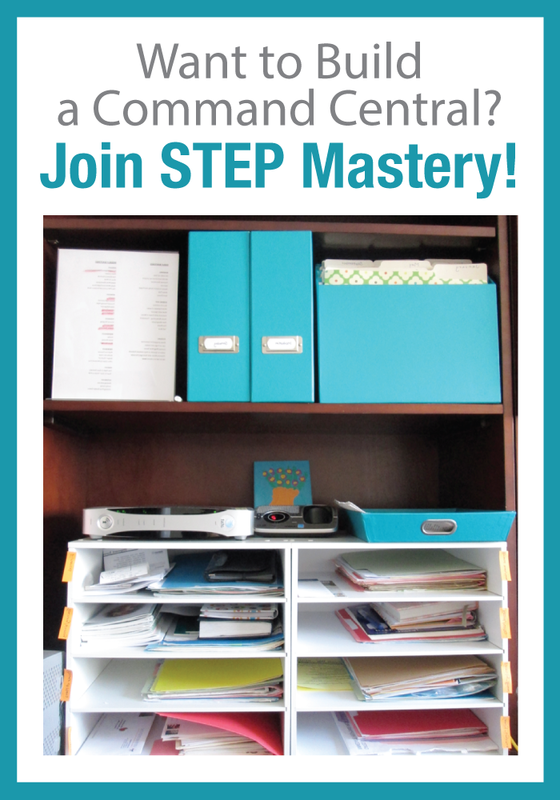 When our calendars are full, there’s no room for all of the unexpected stuff, and there’s so much clutter that the “have to do” items get buried. (3) Do a Weekly Review. The people we admire most in the productivity space are the ones who do their Weekly Reviews. They look back at the previous week to see if there are any forgotten commitments. They look forward to the coming week to see how the 45 puzzle pieces are going to fit together. And they discuss the plan and strategy before it all turns into an emergency. One hour (or less) on this review makes a bigger difference than we might think! 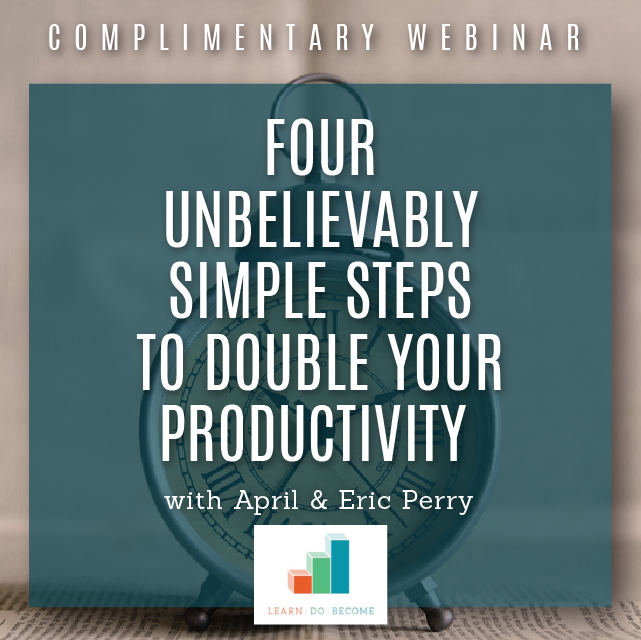 Come join us on a webinar to learn more about Steps to Everyday Productivity! I love that you can share your own mistakes. We all need to be reminded that we are human. Even the best of us make mistakes. Families schedules are hard to manage at times. I appreciate any help you can give us in that area. Thanks so much Amy! I love that our community is so accepting of our mistakes. 🙂 We are thrilled to have you with us at LearnDoBecome, and we have high hopes that the strength of this community will inspire all of us to be just a little better each day! Sending love your way. I enjoyed the podcast – listened while I sit here filling in my planner after a wonderful spring break getaway. I think the sun absorbed all of my brain cells, so I’m putting everything out into my calendar and doing my weekly review. As the primary president, a room mom, mom with three sports schedules, cub scouts, work, etc etc I always need the reminders. Thanks for putting out great information and inspiration. Love you guys!